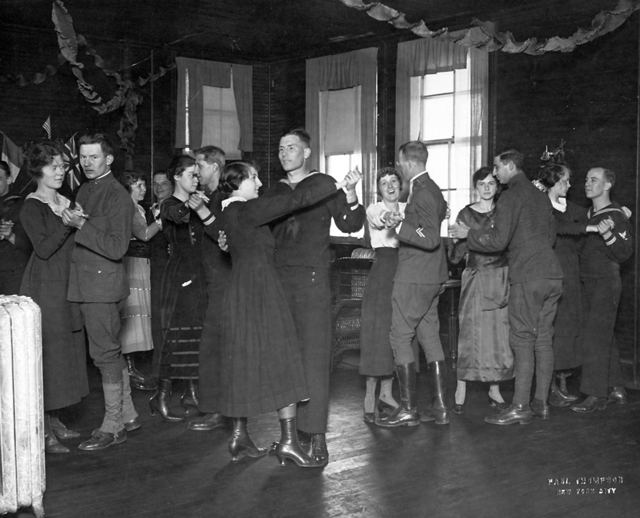 “Mix War, Art, and Dancing” was a newspaper article Hemingway wrote for the Kansas City Star, published April 21, 1918. Three men from Funston were wandering arm in arm along the wall looking at the exhibition of paintings by Kansas City artists. The piano player stopped. The dancers clapped and cheered and he swung into "The Long, Long Trail Awinding". 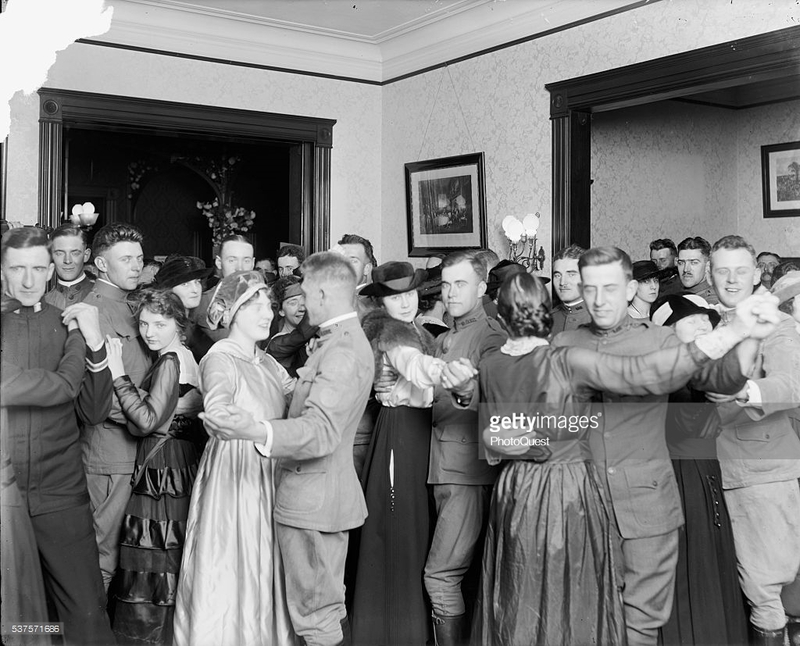 An infantry corporal, dancing with a swift moving girl in a red dress, bent his head close to hers and confided something about a girl in Chautauqua, Kas. In the corridor a group of girls surrounded a tow-headed young artilleryman and applauded his imitation of his pal Bill challenging the colonel, who had forgotten the password. The music stopped again and the solemn pianist rose from his stool and walked out into the hall for a drink. 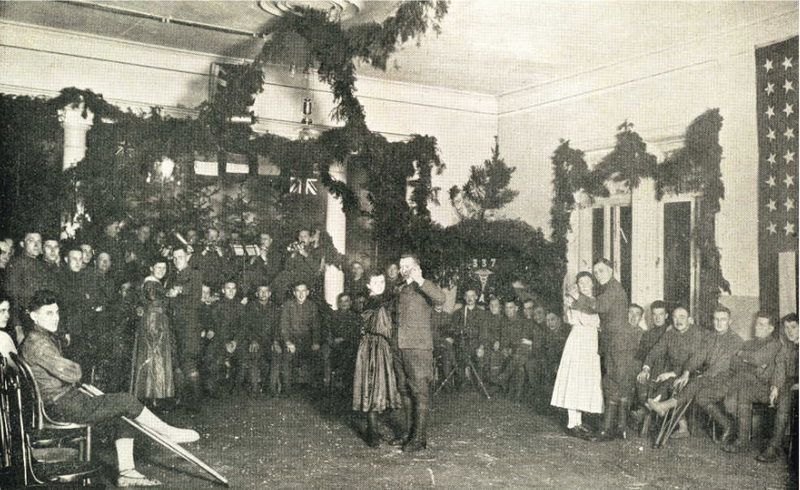 A crowd of men rushed up to the girl in the red dress to plead for the next dance. Outside the woman walked along the wet lamp-lit sidewalk.